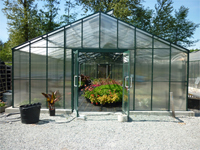 - Feature Greenhouse Models are on sale and offer a savings of 20%. Glass greenhouse, twin wall greenhouse, five wall polycarbonate greenhouses. 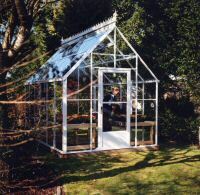 Greenhouses with straight or curved eaves in a variety of sizes.